Less than month to go! People have been busy up and down the country from Gwent to Gwynedd. Its not too late to put something together take a look at our Facebook for some idea. Don’ t be shy give it a try! Follow us on #DSS2015 @Shwmaesumae, Facebook . 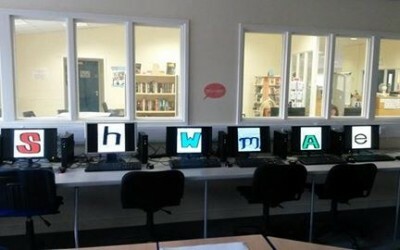 Ideas dried up? – Create a pronunciation aid for your bar, shop or customers. 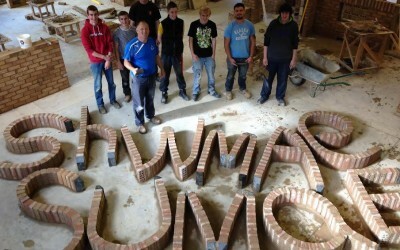 Thanks to Myrddin ap Dafydd and the Pwllheli gang for this great idea. Give it a go and use it every day! 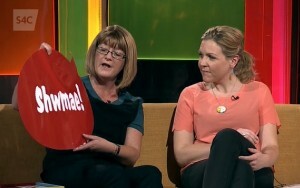 Llinos Penfold and Catrin Dafydd on Heno S4C to talk about the activities on 15 October . 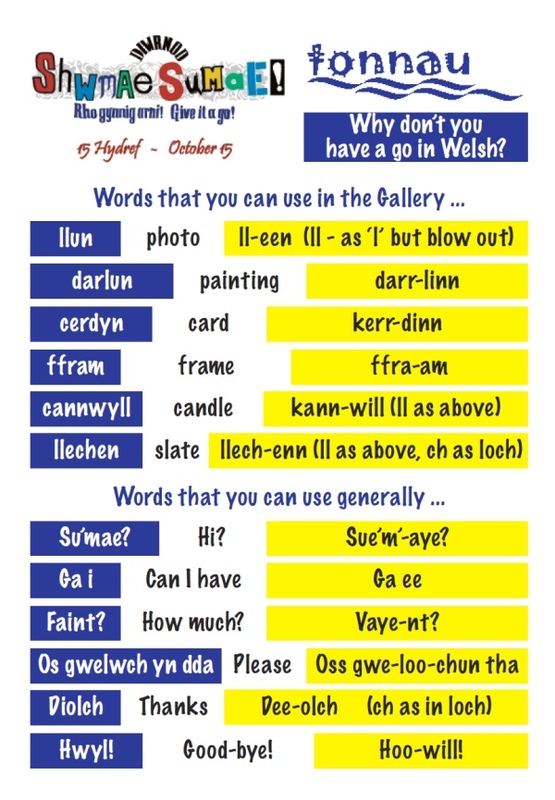 Activities to greet and use the Welsh language happening all over Wales. 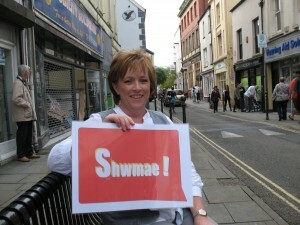 Pembrokeshire are organising a special prize-giving on Shwmae Su’mae day for Welsh learners and supporters. 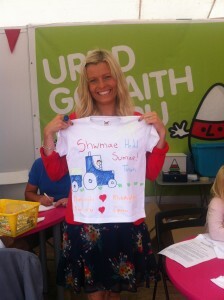 Mari Grug, presenter of Heno and the Weather on S4C will be there. This is the prize for the Pembrokeshire Shwmae Award Ceremony to be held on October 15th. The Urdd, YFC, Twf, Merched y Wawr, Twf, County Council and Menter Iaith all sponsored the competition which will honour those who have strived to promote and use the language within the county. The trophy was designed by the talented blacksmith Eifion Thomas. What about organising a similar event as a joint venture with other organisations in your county in 2015? Merthyr College are holding a photographic exhibition and Pembrokeshire College have produced a special video. Numerous schools in south Wales are holding Welsh language themed activites to encourage staff and pupils and raise monies for charity. 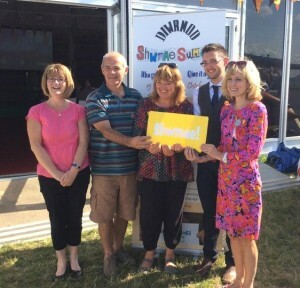 Also getting on board this year is the Big Lunch who have adopted Shwmae Day to hold their celebration, for more information on how to organise a soiree go to Link . We only have a few weeks to go so let us know what you’re going to be up to on the day. 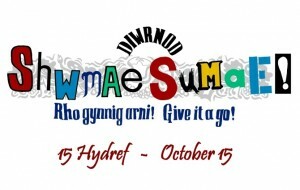 The Big Lunch is pleased to be supporting this year’s ‘Shwmae Sumae Day’ – the annual Welsh language celebration day on October 15 2014. 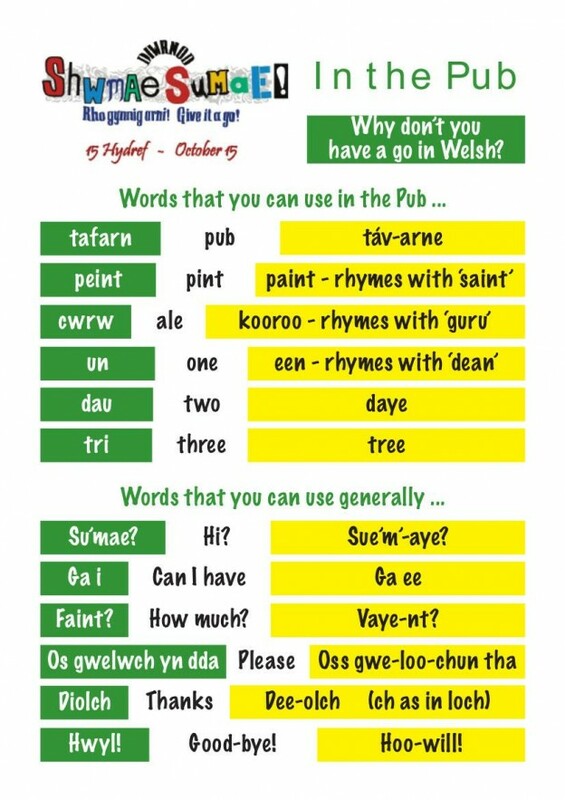 The Big Lunch is all about connecting people and strengthening communities, so what better way to practice your Welsh, have fun and share the language than to hold a Big Lunch in your street, school, workplace or local park? Form a street or office choir to perform the national anthem or sospan fach! Take a look at our website for more information about Shwmae Sumae, to keep tabs on “what’s occurin” in your patch and for ideas to inspire your celebrations this year. You can follow us on Twitter and Facebook. 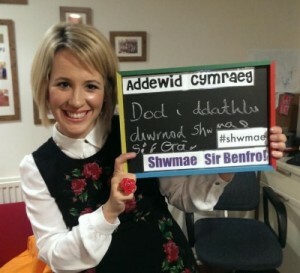 Organise a coffee morning to practise your Welsh with others, take the opportunity to raise money for a good cause; decorate your shop window with Welsh products; offer a discount in your cafe for the 10th person who comes in and says “Shwmae” that day. Organise a day of quizzes and baking at school. These are all things that happened last year. Let’s make it bigger and better this year- give it a go!